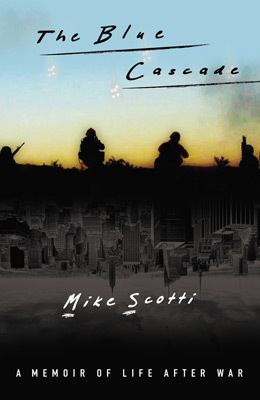 Considering how frequently First Lieutenant Mike Scotti interrupts the footage he shot during the preliminary days of the US invasion of Iraq in 2004 in Severe Clear with narration, it’s hard to think of him as the film’s subject and not its author. Scotti prefaces each of these interruptions, journal entries he made while he was in Kuwait and Baghdad, with “Notes for Book,” reminding us that he plans on using this footage to put his name on the map. Thankfully, these entries are used by director Kristian Fraga to arrange Scotti’s footage to show his emotional progress and not to give the world the unmediated “truth” that Scotti tells us media coverage of the war can’t provide. Fraga is smart enough to use BBC News updates to give the viewer an idea of where Scotti is and why it matters, making him the film’s star, not its lens. 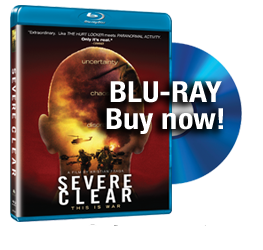 Without these signs of an authoritative but compassionate authorial editor on tap to arrange Scotti’s reams of footage, the superfluity of Severe Clear’s stance could have easily overwhelmed the film’s visceral impact. Thankfully, it never devolves that badly and we’re treated to (another) compelling personal iteration of a story we, the disillusioned by now know all too well—there were no WMDs and yet our troops are still dying in Iraq. It’s a scary thought and one that has yet to lose its potency, especially after you’ve gotten a better idea of what a veteran of that war has taken away from his experiences abroad. Scotti’s footage is sure to push the buttons of people that still want to be needled but that’s pretty much as far as the film can go. His attempts to humanize his fellow soldiers by depicting them as insecure and more than a little mad for being among the first wave of American troops in Gulf War II is admirable. It’s also played out—gored bodies litter the desert in Scotti’s group’s wake just scenes after they hoot and holler about hitting a target with a rocket launcher at night. These guys are cavalier one minute and repentant the next, which isn’t particularly shocking but to see and hear Scotti show it rather than tell it is really what makes Severe Clear a twice-told horror story well worth repeating.